Striving for racial equity -- a world where race is no longer a factor in the distribution of opportunity -- is a matter of social justice. 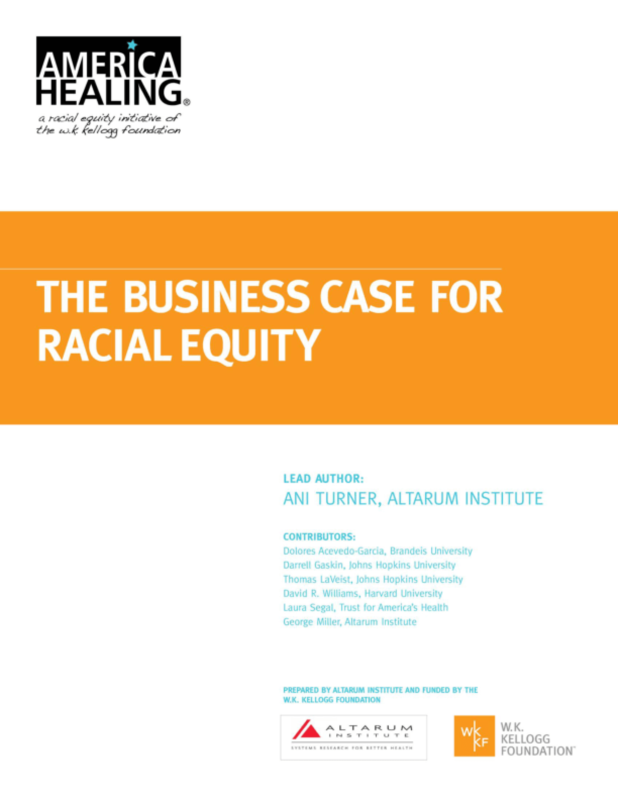 But moving toward racial equity can generate significant economic returns as well. When people face barriers to achieving their full potential, the loss of talent, creativity, energy, and productivity is a burden not only for those disadvantaged, but for communities, businesses, governments, and the economy as a whole. Initial research on the magnitude of this burden in the United States (U.S.), as highlighted in this brief, reveals impacts in the trillions of dollars in lost earnings, avoidable public expenditures, and lost economic output.